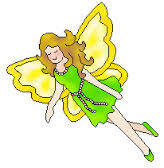 fairies, which absolutely do exist because John Lennon said so. "...So I believe in fairies, the myths, dragons. It all exists, even if it's in your mind. Who's to say that dreams and nightmares aren't as real as the here and now?" The rustle of the wind reminds us a Fairy is near. Wind chimes in your yard will serenade garden creatures...squirrels, fairies and angels. Where you believe there is magic...you will find it. A withered old fairy keeps a second-hand shop. And burnt-out matches for fence posts and rails. And bright scattered beads for the crown of the Queen. Like spin tops or whistles or doll's buckled shoes. They may be the things that fairy folks can use.